CLICK HERE for the article and PICTURES! As it is better to give than receive, by graciously accepting things you are being altruistic in allowing another joy. A consistent mantra you will hear in networking is, “Give Without Expectation.” In short, do things for others and simply trust that someday … somehow, some way … those deeds will come back to you. It’s true. Every day, whether they know it or not, someone reaps the benefits of the altruism they exhibited some time ago. If you look around and listen carefully, there is evidence of this. Consider the story that Excelleweb President, Tom Anderson shares. His mother was making her way home from Sunday church services near Salem, Ohio when she drove over something in the road and her tire went flat. Mrs. Anderson got out of her car and assessed the situation. Though she was no expert, she was able to determine that this was not an ordinary “patch-n-pump” flat. She knew that she needed to replace the shredded tire. While she quickly considered her options, before she could act a stranger pulled up and parked behind her. After a polite salutation and a couple questions, the stranger swung into action. Within minutes, the stranger had begun jacking up the car and removing the destroyed tire. Once he had the tire off, he exclaimed to Mrs. Anderson that he would be back as soon as possible. Within an hour, the stranger was back with a new tire and he quickly began securing it to the car. Focused and methodically, he completed the task without a word. He then lowered the car off the jack and put all the implements away. You should find ways to help others. Give them referrals. Introduce them to others. Share valuable information with them. Do these things and look for nothing in return. While you should have no expectation, understand that the forces of networking and altruism will be working tirelessly in the background. Somehow, some way those good deeds will come back to you. 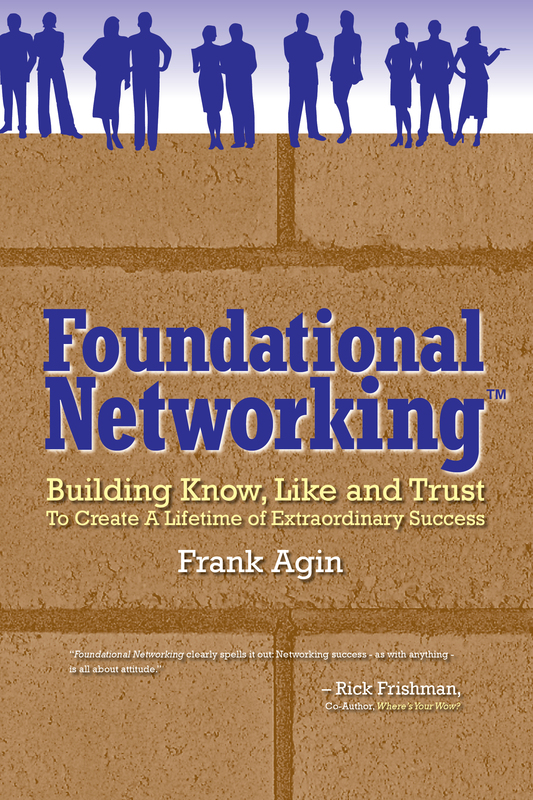 Effective professional networking is about building know, like and trust in your relationships. This is not a function of skills and techniques. Rather, you improve these networking relationships when you focus on your attitudes and habits. When used appropriately, humor will make people comfortable around you. Always look for more in your life – both personally and professionally. Be the person working toward and expecting to achieve something wonderful. Others want to associate with potential more than a glorious past. To energize others, give them a vision of where you are headed and how they are part of it. Set examples of action and effort. Others are drawn to the benefit this could mean for them. Always want more, but accept the circumstances and situation that life has given you. Accepting your circumstances makes others more comfortable in associating with you. Work to find good qualities in people and adopt the attitude of wanting to like them. People want to be liked and want to associate with those who do like them. Take an interest in others and work to make them feel comfortable around you. People are naturally attracted to those who make them feel comfortable. Elements of good sportsmanship, you set a wonderful example that elevates your presence. People want to associate with a good sport whether or not things are going well. So be one. Project on the outside a true reflection of your inside. Give a consistent view of you. People want to associate with happy people. Think about things that make you happy and keep a smile on your face. Remember, a cheerful disposition will draw others to you. Take pride in who you are and what you do. But, remember to be humble enough to recognize that everyone adds value to the world. People want to associate with those who have an appreciation of them. All that you are (or are not) is simply a function of your achievements and failures. Do not be afraid to acknowledge your failings. This candor will draw others to you. If you are interested in learning about the benefits associated with the AmSpirit Business Connections franchise opportunity, CLICK HERE. When cooking with a crock-pot, you cannot rush the process. You take and carefully prepare the ingredients, place them in the crock and set the temperature on low. Next, you must add a large dose of the most important ingredient of all – patience, as you wait for things to cook. While you wait, you occasionally tend to the creation, sprinkling in seasoning and stirring. In time, you have a wonderful feast to enjoy and share. Networking is much the same. You take your contacts and carefully interact with them by giving referrals, offering assistance, and connecting them to others. Then, you wait … a week, maybe a month or it could be even years. As you do so, you occasionally reconnect and continue to interact. In time, you are able to feast on a steady flow of referrals, valuable information, and invaluable contacts. Home runs are fun. With a swing of the bat there is scoring in quick, exciting fashion. A strategy, however, that is singularly focused on hitting home runs is flawed. It completely ignores other means of production. The same is true of networking. Landing a home run contact is fun and exhilarating. As uplifting as this might be, however, chasing these people exclusively is a mistake. Know this… everyone has productive potential for you. The “home run” contact. The “slide into 2nd” person. Even, the “base on balls” guy. In networking, just as in baseball, do not limit your means of production. While, home runs are exciting, remember that singles score runs too. 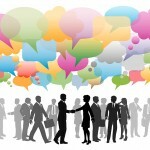 How Do YOU Define Networking? It is two or more people working towards their mutual benefit. Those benefits could be business. But those benefits generally go well beyond that. Information (job openings, recommendations, problem solving ideas). Introductions (clients, vendors, employees, employers, colleagues and life-long friends). Time & Support (encouragement, a sympathtic ear, assistance of all kinds). 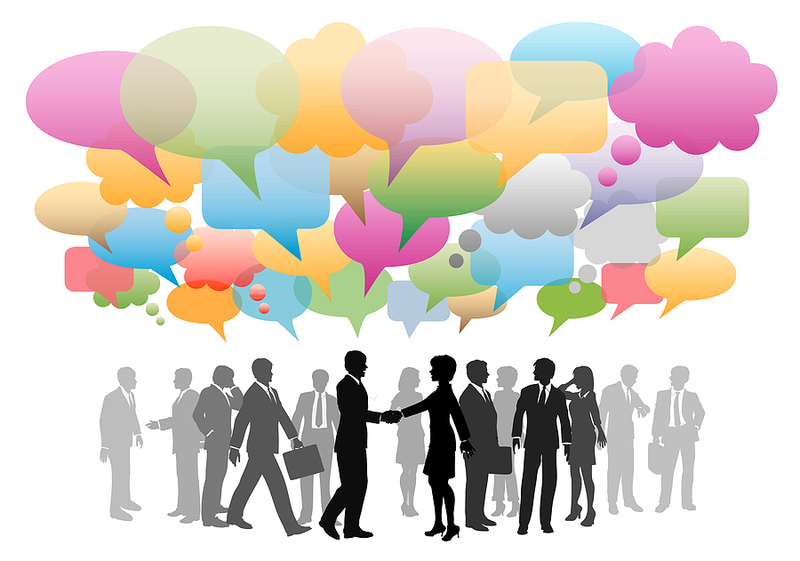 LEAVE YOUR COMMENTS OR DEFINITION OF NETWORKING! What does pasta and referrals have in common? Everything, according to AmSpirit Business Connections Director, Jim Kehoe. In working with his Chapters, Jim shares NPR Planet Money Podcast #400. In this 7-minute podcast, the program host relates the story as to how the Barilla Pasta Company turned around the performance of its manufacturing plant in Southern Italy. In summary, the Barilla Southern Italy plant had an extreme absentee problem that was impairing production and, in turn, financial performance. To address the problem, managers relied on a risk of loss, performance reporting and accountable peer pressure. The risk of loss was , if performance does not improve, the plant would close and relocate, terminating the employment for thousands of employees, good and bad. The performance reporting was making public the absentee records: who was absent, when and how often. The accountable peer pressure caused friends and co-workers to encourage (and even demand) those chronically absent to get to work because if the plant closed, it would cost them. As Jim points out, great Chapters within AmSpirit Business Connections embrace the same motivators that the Barilla managers deployed. The risk of loss is, if the Chapter does not function appropriately, it impairs what members can make through the Chapter via the generation of referrals. The performance reporting in our Chapters is tracking attendance, ensuring members do their lunch assignments, completing the Chapter Performance Report and instituting professional fees. The accountable peer pressure is where members hold fellow members responsible to do what is required to keep the Chapter functioning optimally. So it may seem that pasta and referrals have little in common. When it comes to the manufacturing pasta or generating referrals, however, the most important ingredients are risk of loss, performance reporting and accountability. Your Chapter does not grow because you invite people. Your Chapter grows because you bring guests to it. Invite?… Bring? What is the difference? Actually, there is a stark difference. Some Chapters will encourage one another to invite someone to the meeting. The members may very well do that. Week after week; however, there are no guests. Why? It is simply a matter of attitude and effort. When we tell members to invite someone, they can easily do that (and usually do). Perhaps they send an e-mail or make a phone call. With minimal effort they feel as if they have fulfilled their obligation to the Chapter. They can then show up to the weekly meeting and honestly tell their fellow members “I invited someone.” Even a member who calls a prospect at 7:30 PM the night before the 7:30 AM meeting can make this claim. Committing to bring a guest, however, is more of a definitive commitment. When the meeting starts, you have either lived up to your commitment or not. There is no middle ground. Bringing a guest requires more of an effort. You might have to contact several prospects and really engage them in conversation. You might have to play phone tag. You might have to send out multiple e-mails. You might have to pick someone up to ensure they show. Here is the reality: Committing to bring guests is immensely more productive than merely inviting someone. With that simple change in attitude (and following with action) you have done something tangible to grow your Chapter and at the same time elevated your stature amongst your fellow members. So from this point forward, absolutely, unequivocally, stop just inviting someone to your Chapter. Instead commit to bringing a guest, and then follow through.